Baby Boomer Retirement: Seniors - Save Money on Almost Everything! By the time they retire, many Baby Boomers will face a very difficult financial situation. The majority of Baby Boomers have simply not saved enough money to keep up the lifestyle they enjoyed before they retired. Other retirees have discovered that they have enough money to cover their living expenses, but would like to economize so they can travel and pursue other hobbies. Retirees are handling their financial shortfalls in a variety of ways, including part-time retirement jobs, downsizing to smaller homes, finding roommates, and even moving in with their adult children. In addition, many Baby Boomers have found there are a variety of areas in their life where they can save money so they can continue to live independently and have an enjoyable lifestyle. If you had a solid middle class income during your working years, you may not have paid too much attention to how to reduce your expenses. It is also possible you may have been financially careful in some areas of your life, but did not know how to economize in other ways. In addition, even if you were good at using discounts when you were younger, you may now learn that some discounts are only available after you reach your mid-60s. Below is a list of ways you might be able to save money. These ideas could make your retirement more comfortable and pleasant. Check out the ideas below and see if you can put any of them to work for you. * Bring an empty water bottle on airline trips and fill it from the water fountain after you go through security. * Take your toll transponder with you on road trips within your state to benefit from discounts on the tolls. * Join AARP and/or AAA and ask hotels and tourist attractions if they offer a discount for members of those organizations. If they do not, ask if they offer discounts for senior citizens or other types of discounts. * AARP members can also save money on long-term airport parking at ParkRideFlyUSA.com, if they pre-book their parking on the website. * If you travel overseas, make sure your credit card does not charge a foreign transaction fee. * Be flexible when booking air travel. In some cases, the cheapest days to fly are Tuesdays, Wednesdays, Saturdays and holidays. * Shop around before filling prescriptions and ask if it would be better to use your insurance or pay the retail price. Surprisingly, sometimes the retail price is less expensive than your insurance co-pay. * Once you are on Medicare, you may qualify for the Extra Help program at socialsecurity.gov/extrahelp or call 800-772-1213 and learn how you can save money on your prescriptions. * You may also qualify for free medications through the Partnership for Prescription Assistance at pparx.org. It is worth the effort to at least apply. * Make sure you are not wasting money on gas; remove rooftop carriers or anything else which could reduce your mileage. Consolidate your trips, so you are driving as little as possible. Find local services, such as hair dressers and nail salons, to reduce your driving even more. * Keep your tires inflated to boost you gas mileage. * Shop around for the least expensive gas in your area; make sure you take into consideration any discounts offered by your grocery store, including Costco, Safeway, Kroger and Vons. * Shop for lower priced auto insurance. It can help if you have a good driving record and take an online safety course. * Use public transportation, when possible. Many cities offer senior vouchers for discount taxi rides, bus tickets, train discounts, etc. You may find it is possible and less expensive to have no car at all. If you are a two-car couple, you may discover you can get by with just one. * Raise the thermostat temperature in your home in the summer and lower it in winter. In the summer, a ceiling fan can reduce your air conditioning costs. * Shop for some of your clothes at resale shops or online at Poshmark.com; look for sales before buying other products; purchase reconditioned tools and similar items. Avoid paying the full retail price whenever possible. * Take advantage of discounts and coupons; use discount sites like @AmazonDeals or coupon sites whenever you can. Order discounted gift cards by shopping for gift cards at sites like GiftCardGranny.com or TheGiftCardShop.com. * Ask your service providers, including your internet provider, cable company, or cell phone service, if they will give you a discount in order to keep your business. You may also decide to get rid of services you rarely use or do not need. Consider using a prepaid cell phone plan. You might also decide to eliminate your telephone landline and only use a cell phone. * If you need to use an out-of-network ATM, ask your bank to reimburse the fee. * Make more of your food from scratch, including your favorite beverages, pizza, salad dressing and soups. Eat less meat and cheaper cuts, when possible. * Buy large containers of soft soap, window cleaner or similar supplies and refill your own bottles. * Use dryer balls rather than fabric softener. They cost less and reduce your use of chemicals. * Get your books from the library. 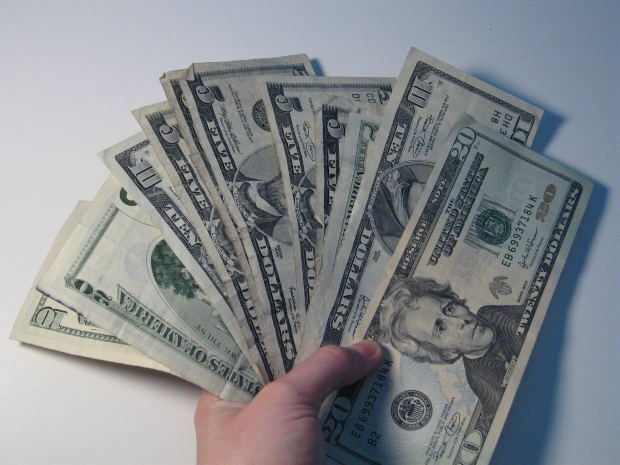 * Get cash back when you shop, either from a cash back credit card and/or a site like Ebates. * Use YouTube videos to make your own simple home repairs, change your own car filters, or even find exercise videos. * Get your taxes done for free through the AARP Foundation. Find out how to make an appointment at aarp.org/taxaide or call 888-687-2277. * Look for cheaper alternatives to products you use. For example, women could use men's shaving cream, store-brand beauty products, or baby oil to remove eye makeup. In fact, both men and women may discover store brands which meet their needs quite well. * Need a massage or haircut? See if there is a massage school or beauty school in your community. * Buy your eyeglasses online from sites like zennioptical.com. If you are an AARP member, you can also save at EyeMed. * Ask for senior discounts at restaurants, movie theaters and wherever they are offered. You can also purchase low cost movie tickets at Costco.com ... although you might save even more at a discount movie theater or by going to matinee performances. * When eating out, consider splitting an entree or sticking with appetizers. Check to see which restaurants have specials on certain days, so you can eat out less expensively. Skip ordering expensive alcoholic beverages at restaurants. Enjoy a cocktail at home, instead. * Look for coupons at Restaurant.com to get discounts at restaurants. * Try having dinner at a local culinary school. * Watch your local newspaper or check online for free summer concerts, neighborhood events, free museum days, spring training for your favorite baseball team, festivals, parades or other free and low-cost activities in your area. A number of these ideas came from our personal experience, as well as from the July-August, 2017 issue of the AARP Bulletin. Many people have found that an AARP membership pays for itself when members take advantage of the discounts which are offered at hotels, Avis and Budget Rent-a-car, a variety of restaurants, movie theaters and other locations. AARP also has a job website at aarp.org/jobs for those who feel they will need a retirement job, no matter how much money they manage to save. If you are interested in other retirement planning ideas, suggestions on where to retire in the U.S. and abroad, Social Security, Medicare, common medical problems and more, use the tabs or pull-down menu at the top of the page to find links to hundreds of additional articles. Watch for my book, Retirement Awareness: 10 Steps to a Comfortable Retirement, which will be released by Griffin Publishing in 2018. These are all excellent ideas. Don't forget to ask for military discounts! Thank you for the suggestion of military discounts. Yes, millions of people are also eligible for those. Some retired military people can even still shop on military bases and save money that way. I have my set of save money in retirement too! I think being healthy and adapting a healthy lifestyle is also a way to save money! If you are healthy, you will need less (or not at all) health care services which are expensive expenses. You can also save on coverage premiums by taking time shopping for best deals, for example if you want to fill coverage gaps of your original medicare, shop for Medicare supplement plans with cheaper price since plans are standardized. You can also save for premiums when you buy during your open enrollment period. In addition you can also use different perks offered to seniors. There are perks in turning 65 which you can take advantage to help you save more money. Learn more about these awesome perks here freemedsuppquotes.com/perks-turning-65.